The internet is but one more context that humans interact within. It isn’t that I or anyone else is “fake” in any particular setting; it’s that the self isn’t a whole but rather slivers entangled together that we choose to recognize as a whole. “Let me begin by saying that this is difficult for me to reveal. But when I talk to people online, I have a surprisingly different personality than the person I use to be in my real life. I don’t address friends on Facebook or Instagram like I talk to them in a real conversation! I get that having the internet as an outlet allows me to highlight some aspects of my personality that isn’t visible in person and sometimes I think I’m putting on a show. I see my virtual friends portraying myself a certain way and wonder how real this virtual persona is. I also know I’ll never live up to who I am online, because who I am on Instagram or Facebook or Twitter is only a part of the complete picture of me. This anonymous confession tease out a good question – Are our online personalities who we “really” are? Although we are more than the history of our browser, it is feasible that our web searches and web page visits, emails and social network activity contain traces of our personality. We do not have an online and offline self that are separate from one another. Infact I abhor the type of framing that would render my online and offline personalities as two distinct personalities. Our mind and the assembly of beliefs we hold about the world, others and ourselves are multifaceted. Identity is plural, and we have far more selves than even the summarized notion of online and offline self. We tend to be “different” in a variety of contexts—around family, our children, co-workers, our bosses, acquaintances, close friends, alone in the shower, etc. How we “perform” is context dependent. It makes sense, then, that we sometimes can be seen to behave differently on social media. In fact, even on different websites our personalities differ. You may, for example, be a “different person” on Facebook versus Linkedin, or different on Reddit versus Snapchat. This is all normal. Who we are is fluid and how we encounter each differing social setting will often bring about another part of ourselves due to whatever motivation or desire to express a nuanced piece of our being. Erving Goffman, regarded as the most influential American sociologist of the twentieth century, published a book titled “The Presentation of Self in Everyday Life” in 1959. In it, he analogizes identity to theater and speaks to how we are as actors on a stage. His research illustrates how humans adapt manner and appearance based upon diverse social instances. He noted that society is not homogeneous and, thus, we necessarily act differently in different settings. In 1998, the International Sociological Association listed Goffman’s book as the tenth most important sociological book of the twentieth century. In addition to this, William James, the father of American psychology, once suggested that we have as many personalities as the number of situations we are in. 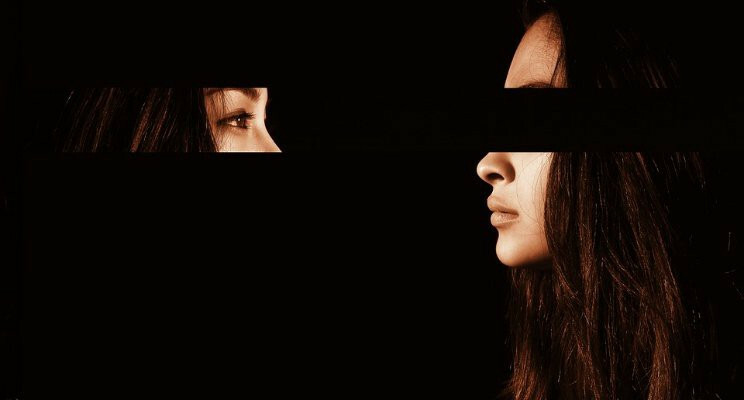 Although our digital identity may be fragmented, it seems clear that our various online personas are all digital breadcrumbs of the same persona; different symptoms of our same core self. We are still far from the development of a Shazam for the soul, but the more we can integrate and synthesise our segregated online data, the more complete our picture of ourselves will be. The internet is but one more context that humans interact within. It isn’t that I or anyone else is “fake” in any particular setting (although that could also be the case sometimes); it’s that the self isn’t a whole but rather slivers entangled together that we choose to recognize as a whole. Digital dualism is a pervasive fallacy. The virtual world, and the ways we reveal ourselves within it, overlaps with and is a reflection of the real, physical world. We are multidimensional creatures. It isn’t that we perform ourselves differently on the internet, it’s that we always have performed ourselves dependent upon scenario and context. How Cool Is It To Be Addicted To Social Media?